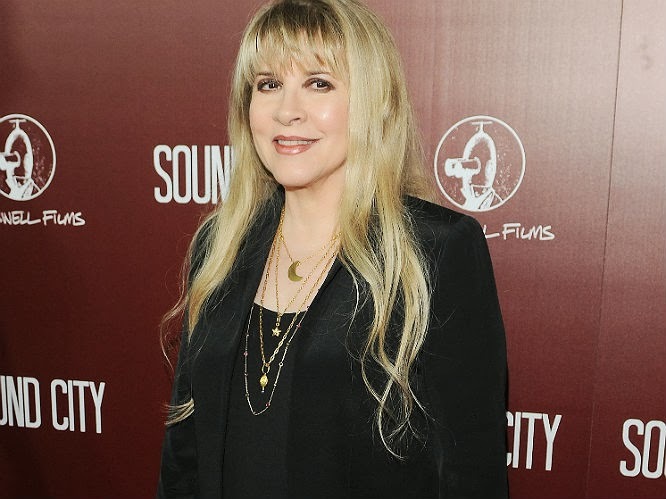 have an equally dysfunctional time exchanging Christmas gifts -- at least according to Stevie Nicks. Asked if there's an annual Christmas gift exchange among the members of the Mac -- that's Nicks, guitarist Lindsey Buckingham, drummer Mick Fleetwood and bass player John McVie -- Stevie tells ABC News Radio, "There is, between Mick and I. I buy Lindsey things...I've probably bought him 25 cashmere scarves...He doesn't like them. He won't wear them. And he says, 'Don't buy me any more cashmere.'" Explaining why she keeps giving her former lover scarves, Nicks laughs and says, "It's the only thing I can think that he might wear when we're in Sweden and it's cold. Everybody buys [him] a scarf. He must have drawers of scarves!" She adds that, ultimately, "I wouldn't even know what to buy Lindsey, so I don't bother. He doesn't buy me anything." 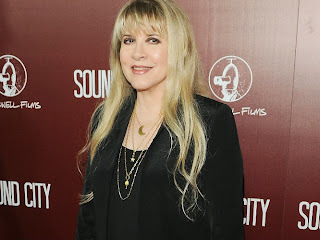 But when it comes to Fleetwood, with whom she also had a romantic relationship, Stevie says she goes completely over the top. "Mick and I, we love to buy presents for each other, because we like the same things," she tells ABC News Radio. "We like 24-carat gold jewelry. We like opals and jade. We like diamonds. You know, Mick and I are one and the same. We're kind of the same person." And even if the two are feuding, expensive gifts are still on the agenda, reveals Nicks. "Once, I was mad at Mick about something and I bought him a red skull, with diamond eyes, on a 24-carat-gold chain," she laughs. "And I said, 'This is just so you know I'm always watching you!' And that was a fantastic gift. And he loved it! So, you know, Mick and I have the same taste." Fleetwood Mac will close out the year with a December 30 show in Las Vegas. My wife and I are on our way tomorrow to this show all the way from NH for a week.Woooooo! !